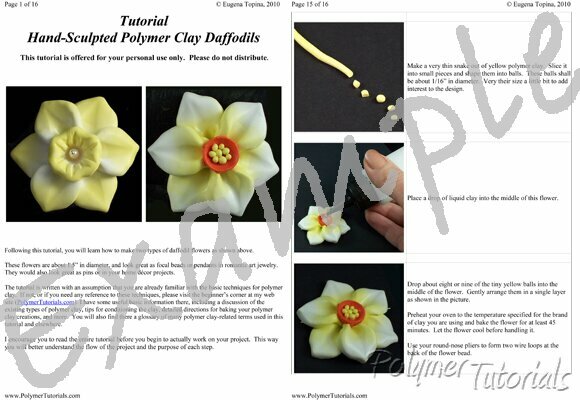 Following my step by step instructions in this polymer clay tutorial, you will learn how to make these two beautiful polymer clay daffodil flowers. These flowers are about 1.5” in diameter – an ideal size for pendants, pins, beads, hair ornaments, and more. You will not need any molds or stamps to make these flowers - only polymer clay, your own hands, and a couple of simple tools. Nearly forty big full-color pictures showing every step. I have all your flower tutes. Cannot wait for more! Pam ( ..